KiCKASS WiTCH : Putting The "K" In Magick: Paganism & Beyond : What About Jesus? Paganism & Beyond : What About Jesus? Pagan. It's a pretty strong word. Used in today's technology-centric, progress-loving world, it's got a certain defiance to it, and, at the same time, to call one's self a Pagan seems like the most natural thing in the world. Paganism does predate Christianity, the dominant religion in the western world, by quite a few millennia. Maybe that's why it seems so deliciously defiant? As a label, it says, "We're still here, people who want to stay connected to the Earth, people who will not sacrifice or suppress their natural, human inclinations in order to please a puritanical, fear-mongering church". It's a reclamation of one's ancestral roots, signifying our innate connection with nature in a society that has all but denatured itself. However, I would like to suggest that once the dust has settled on that initial rebellion, after the anger at having been "lied to" has subsided, a certain kind of acceptance, even love for one's childhood faith can begin to set in, igniting a whole other kind of return to one's roots. It's a return to the roots of one's more immediate ancestors, grandma, grandpa, mom, dad, and, for so many of us, that means a return to Jesus. I'm not talking about a return to Christianity, although plenty of people walk a Christo-Pagan path and, despite the protests from the fundamentalist peanut gallery (yes- Pagans can be fundamentalists), it seems to work for them just fine. What I'm speaking of is a return to the myth, the legend, maybe even the historical figure called "Jesus" through another lens, whatever lens you happen to be looking through right now. 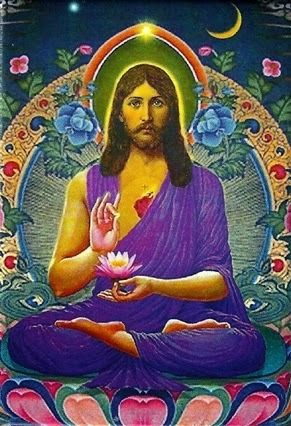 Today, when I think of Jesus, I think of this kind of peace-loving hippie dude who was trying to teach people that we all have the same powers that he possessed, the ability to perform miracles, live from heart-center and consciously co-create our reality. I understand that to some this may seem like an irreverent, even disrespectful take on their Lord & Savior, but that's how I like my Jesus, and I really don't think he'd mind. I mean, this is a guy who supposedly hung out with prostitutes, lepers and thieves. Does it get any more irreverent than that? You may not even be able to view Jesus as ever having been an actual person, but I still think that, if you're interested in tying in the culture of your youth with your current Pagan ideals, you might be able to embrace him as a symbol. The Jesus story is rich in symbolism and Easter/Ostara (as well as Christmas/Yule) is the perfect time to incorporate some of that into your spirituality, bridging the gap that may still exist between you and your Christian family. Examined from this angle, Easter can represent the resurrection of the "sun" of God after his long, wintery "death". If you're willing to stretch your imagination, the He Hath Risen tale can, like the Easter egg, symbolize rebirth and the born again Spring. 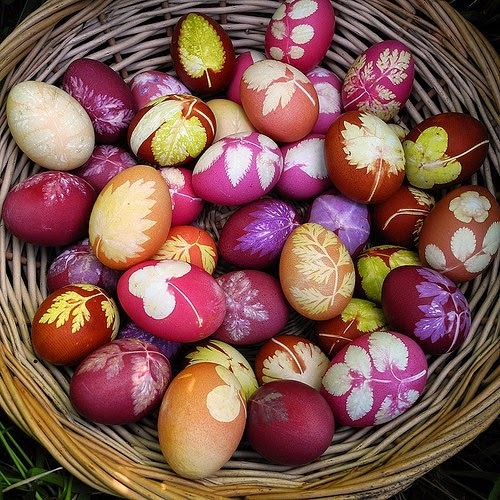 If, like me, you go back home every Easter to spend time with your family, isn't it better to find some common denominator rather than rolling your eyes and muttering under your breath about how Easter is just another holiday the Christians appropriated from the Pagans? We've probably all been there, perhaps rightfully so, but, at some point, it's nice to move to on. And- this doesn't just apply to Pagans. For example: What do the following books have in common? Jesus! Right? Everybody seems to want a piece of Jesus, and I believe that's partly due to what I'm talking about here, this deep human need that many of us feel to reconnect with our families, the families that, for better or worse, raised us, and there's nothing wrong with that. In fact, making that kind of effort can be a beautiful gesture of love, and Spring is the perfect time to plant the seeds of a new perspective. *This is a reprint of an article that I wrote last year for my kickass friend Ash-Lynn's blog, Witch Came First? Very good thoughts, Lady! It always feels right to me when I allow my childhood beliefs to flow into my current beliefs. I live life by how I was raised and it'd be a lie to say I don't live in a "Christ-like" manner. Cause when you take him out of the dogma, he's an awesome archetype and teacher. I LOVE this post! You've stated so well here what I often think in my head but trip when trying to express it! Thanks for that!